Posted on July 23, 2014	in All Posts, Food Safety, Public Policy	with 6 Comments on Could funding cuts to food safety programs make you sick? When public health works, no one sees it. That’s a common adage at APHL and is most frequently used when referring to the gross lack of – and ever plummeting – funding for valuable public health programs. But what does it mean? When do we see public health and when does it vanish into the background? The public health system comprises many areas from healthy eating to smoking cessation to biomonitoring to newborn screening. To answer this question, we’re going to focus on food safety – something that impacts every person in the United States – by following the journey of peanuts as they pass through the food system and into your lunch bag. Our peanuts were grown on a large farm that distributes its harvests for use in many different products. After being roasted, they are shipped to another facility to be ground into a paste. That paste is then used to make peanut butter for cookies, crackers, ice cream, dog treats and many other products. In a perfect situation, our peanuts are grown using the safest growing practices; thoroughly roasted to kill pathogens acquired on the farm; processed in facilities that ensure utmost safety and cleanliness in accordance with all food safety guidance provided to them; sent to stores, restaurants and other food service facilities where they will be purchased and consumed by families trusting that they are receiving peanut butter crackers free of Salmonella. Public health has worked in the form of inspectors, guidelines, regulations, sample testing, quality assurance, staff training and public education to ensure that a perfect situation can and will exist most of the time. Although you never saw public health working to prevent you from getting sick, it was there. Even when all goes right – even when there are not blatant safety oversights along the way – sneaky Salmonella can find its way in. What then? Our peanuts have picked up Salmonella after roasting (there’s likely no more heating to kill that nasty pathogen) in the processing facility. They are then mixed with more and more peanuts, shipments from other farms, passing through machine after machine, being ground into peanut paste, infecting huge lots of peanuts along the way. Our peanuts are now causing a silent outbreak deep within the processing facility. The lots of infected peanut paste – soon to be peanut butter – go unsuspected and are sent to the next phase of processing where they will become cookies, crackers, ice cream, dog treats, etc. Suzy Public loves peanut butter cookies, so she picks up a package during a routine grocery store visit. Two days later, Suzy is very sick. Vomiting takes a turn to more severe symptoms so Suzy does the right thing and heads to her doctor. In keeping with clinical care guidelines, Suzy’s doctor orders a stool sample which is then sent to a clinical lab where it tests positive for Salmonella. This is obviously important information for Suzy’s doctor who needs to determine the most effective treatment, but it is also important for the public at large, especially for those in her community. Additional testing at the public health laboratory could link Suzy’s Salmonella to other cases in her area or across the country. While clinical labs must submit a report alerting epidemiologists of Suzy’s Salmonella, many states don’t require clinical labs to submit isolates (a sample of the Salmonella that made Suzy sick) to the public health lab. The report allows epidemiologists to gather initial exposure information on cases, but identifying potential outbreaks among sporadic cases can be tough without additional information. 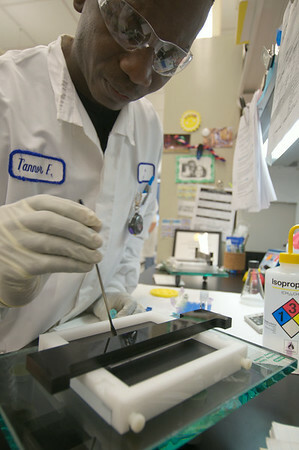 An isolate allows the public health lab to subtype or get DNA fingerprints from the Salmonella (more on this below), providing greater information and more rapid outbreak detection. So why wouldn’t states require these isolates be submitted? There are likely different reasons for this; one common reason is simply that the states lack resources. Some states can afford to have a courier pick up and deliver those isolates, but not every state is able. It is hard to mandate that the clinical labs handle shipments on their own time and dime. Additionally, some states simply cannot process all of those isolates at their current funding level. Requiring all clinical labs to send those isolates would put an enormous workload on already understaffed public health laboratories. Once the investigation has been opened, an epidemiologist or public health nurse will contact Suzy Public to begin the investigation to nab the culprit. The first question they will ask Suzy is to list everything she consumed in the week or so prior to getting sick. These interviews allow disease detectives to track patterns in sick individuals’ diets. If everyone ate peanut butter crackers, they can target their investigation. Delays in testing or reporting will delay these disease detectives, and that means Suzy and the others who were made ill may not remember so far back. Even if they do remember and the disease detectives can identify a common food item in their diets, that product may already be off the shelves and in more people’s homes thus exacerbating the outbreak. Additionally, departments of public health face staff shortages that mean overloaded epidemiologists and public health nurses. Their ability to conduct thorough interviews requires ample time – and time is limited when staff are carrying a workload suited for several people. If that isolate was sent to the public health lab, additional testing is done to confirm Salmonella and to subtype the pathogen. 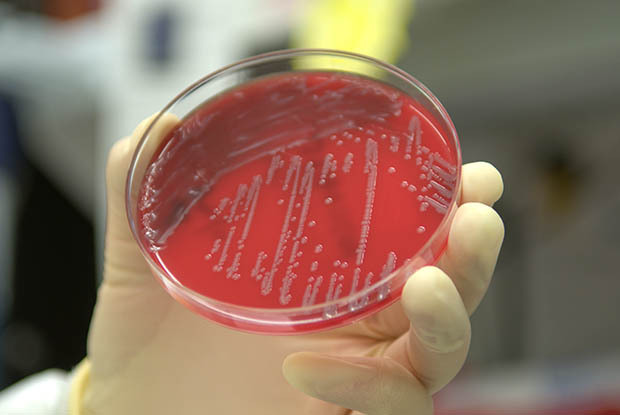 There are over 2,500 subtypes of Salmonella, so the first step in outbreak detection is determining which type has made this individual sick. PFGE testing delves further into the identification of the pathogen by identifying its DNA fingerprint. For example, there could be multiple outbreaks associated with Salmonella Typhimurium at the same time but that doesn’t mean it is the same culprit. Isolating the DNA fingerprints is like a detective pulling fingerprints from a crime scene – when there are multiple offenses committed, fingerprints can link them to the same perpetrator. The DNA fingerprints are then entered into the PulseNet database, a system used to detect clusters nationally. This information is used by epidemiologists to further target their investigation. But staff shortages in public health laboratories mean not all isolates can be tested, and those that are tested could be delayed. That means less information is making its way into the PulseNet database or it is being entered too late. Delays or gaps in information make the investigation extremely difficult. The case of the contaminated peanuts is a complicated one. We know the contaminated peanut butter used to make Suzy’s cookies caused her illness, but identifying those cookies as the source is only the beginning of the investigative process. Was it the flour, sugar, salt, eggs, peanuts, or one or more of the other ingredients that made Suzy sick? And what about the people who were sickened by peanut butter crackers? Or energy bars? Finding the common denominator – and drilling all the way down to where contamination occurred – is very difficult. These complicated investigations can last upwards of a year, but they are being closed without resolution simply because public health departments don’t have the means to keep them open. No resolution means contamination at the processing facility could continue and more people could become ill. It also means the rest of the industry cannot learn from the outbreak and implement changes to improve product safety. Rapid detection leads to faster recalls of contaminated products. That means fewer people get sick. But our public health system does not have the means to investigate every case of foodborne illness. There are not enough resources to follow up on every cluster. Without question, more outbreaks would be found if there were sufficient resources to detect and investigate them all. 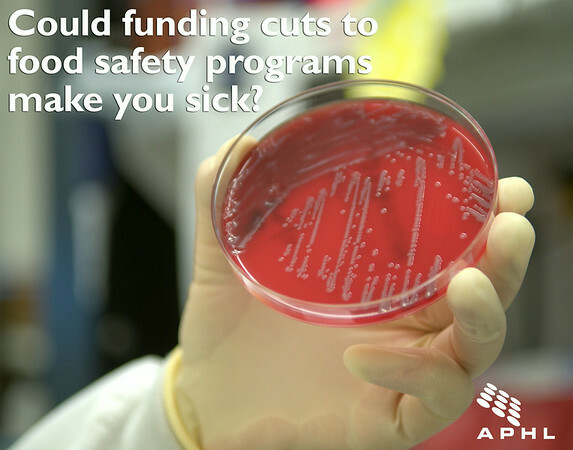 Simply put, funding cuts are ultimately causing more people to get sick. Advocates continue to work hard to convince decision makers that increasing funding for the public health system is a very good investment in our population. Healthy people are better for every aspect of society. While the advocates are working, public health professionals continue to seek more ways to improve the system with fewer staff and fewer resources. Whole genome sequencing, for example, could provide more information to better understand outbreak clusters, and that could mean less follow up testing which could mean operating with fewer staff. However, implementation of advancements such as whole genome sequencing requires time and money that the system simply does not have. Every day that you wake up without foodborne illness, thank the public health system. Waking up healthy did not happen without the dedicated men and women working hard to prevent the spread of dangerous bacteria. When public health works, no one sees it… but it still needs adequate support to continue protecting our health. The disease identification system described above operates on only $40 million annually and is in immediate need of at least an additional $10 million as indicated in the 2015 budget request. To realize significant improvements, CDC funding for food safety should be doubled at a minimum. Here is a letter telling Congress that more funding is needed for public health. Complete the information and it will be sent to your elected officials. Copy the following sentence and paste it into the letter to draw attention to the specific needs for food safety: I am especially concerned with the need for funding to improve our nation’s food safety system. CDC’s food safety office is in immediate need of an additional $10 million as indicated in the 2015 budget request. Without this funding, more Americans will get sick from foodborne illness.